We provide local CFD expertise through on-site visits, training sessions and workshops near you. As one of few open-source CFD companies, in Australia and Canada, we understand the dynamics and needs of local engineering businesses. Our technical support team has an average email response time of less than 1 hour, delivering a same-day turnaround response. Phone, web and onsite visits consultations can be arranged. Our engineers have an average of 15 years experience developing and applying CFD to industrial applications. Customers speak to experienced support representatives whom they already know. In the last few years, using internal funding, Applied CCM has developed major CFD capabilities such as overset, optimization and uncertainty quantification techniques. All are unique to the OpenFOAM®-based CFD market. Full service channel partners for the industry leading CFD pre-processor, Pointwise, and overset grid assembler, Suggar++. 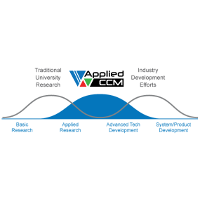 Applied CCM focuses on identifying and developing the most important CFD capabilities that improve our users’ productivity and bottom line. How do we identify these capabilities? We listen to what our users tell us they value most, and to how they can use the technology to differentiate their own products in the market. Many of these technologies are part of our industrial hardened derivative of OpenFOAM® called Caelus. A few others, such as our transient solver and overset library, are provided through our technology subscription.